D&D Technologies Tru-Close Series 3 Heavy Duty Hinges for Metal, Wood, & Viny Gates (2 Legs) | Hoover Fence Co.
Top-selling TruClose® Gate Hinges have long been the most reliable self-closing gate hinges on the market. The new "Series 3" range offers a unique, custom approach to gate hardware by introducing trim covers to match your locks and lighting fixtures, while concealing all fasteners. The ideal self-closing (tension-adjustable) hinge for mid-weight to heavy-weight metal gates. Tough, molded construction with stainless steel torsion spring. 100% rust-free for life. No binding, no sagging, no staining. Quick and easy adjustment feature. 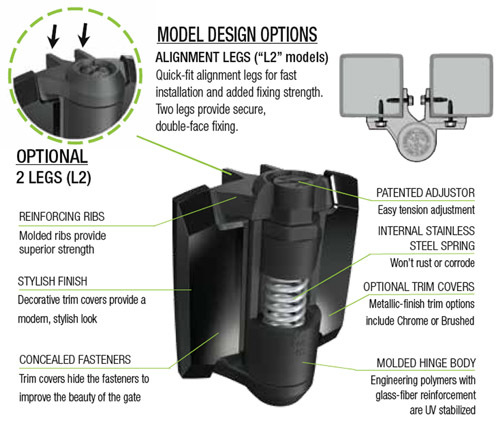 "L2" model offers quick-fit alignment legs for added fitting strength. No fasteners included (requires 10-gauge fasteners). 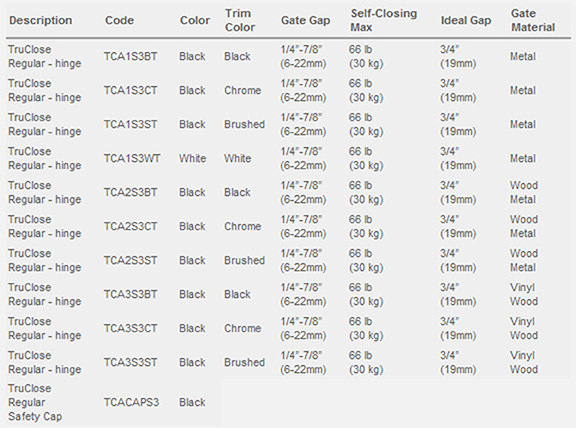 Heavy Duty - For heavy duty range square frame gates weighing up to 154 lbs (70 kg.). 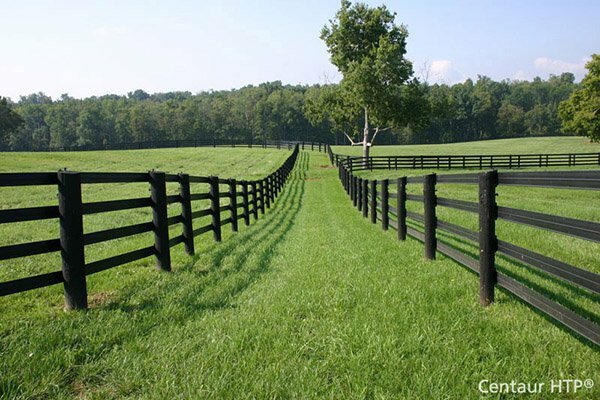 Works best with wood, metal, or vinyl gates in high use areas. This model features has 2 legs.